This Barbie Bounce House offers 225 square feet of bounce area and 360-degrees of brilliant and joyful regal fun! Perfect for kids of all ages at birthday parties, family reunions, company picnics, church celebrations, or any special event! 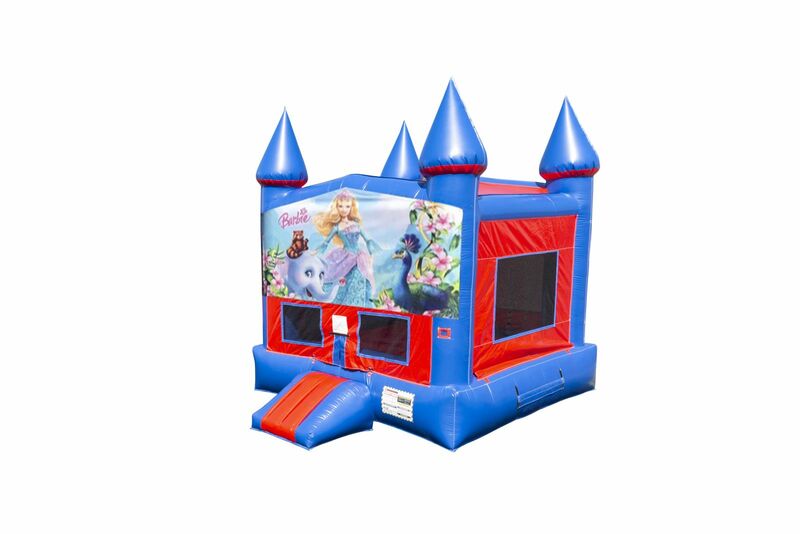 Capture the moment with the Barbie bounce house, with colors of blue and red, along with four tall spires to make any party a success. 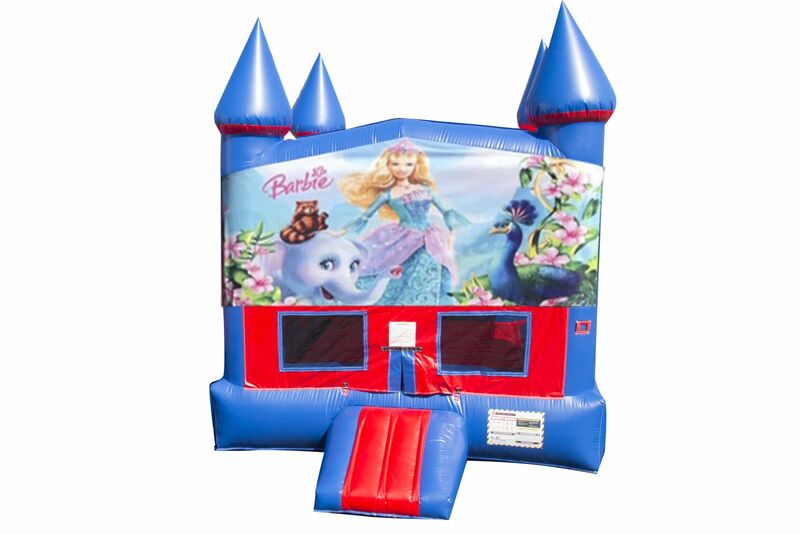 Kids will have a grand time ruling and making friends in the Barbie bounce house. This jumper has large mesh windows, so parents and spectators can have a clear view of all the fun, and a safety step for easy entry and exit! All of our bounce houses are cleaned and sanitized before your rental. Got Bounce? The Bouncing Buddies Barbie Bounce House is great for family entertainment, providing the most popular form of amusement for children. Bouncing also puts you in a state of health and fitness, improves your sense of balance, creates an aerobic effect for your heart, strengthens your muscles, and increases the capacity for respiration, resulting in better mental performance!